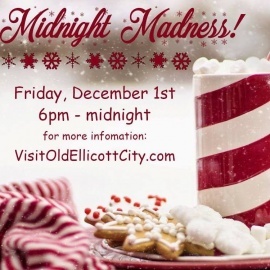 Ellicott City's Annual MIDNIGHT MADNESS! Shopping, Dining, and Music on Main Street till midnight! This annual event begins with our tree lighting at 6pm. 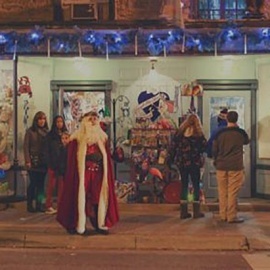 Dress warm for your stroll through the historic town as you are serenaded by carollers. Shops will be open until midnight so you can find that unique gift! 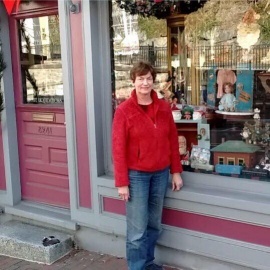 Please support your community and Shop Historic! Bring the family on Sat. Dec 7th 12-4pm to visit with Santa at The Firehouse Museum!